Are you planning a trip to Lanzarote and want to book a cheap rental car? After all, the island has a lot to offer and all the beautiful sights can be easily explored with a rental car. The Canary Islands belong to Spain and are a popular tourist destination year after year. While the island of Tenerife and Gran Canaria are literally overrun by tourists, visitors to Lanzarote still find some peace and relaxation. The volcanic island has a pleasant, mild climate all year round and even in high summer it is bearable. With Driveboo you can easily compare the offers of renowned car hire companies at Lanzarote Airport and find the best offers. The ACE airport is located near the capital Arrecife. It is the pivotal point for holidaymakers and travellers. You will also be able to start your stay at this airport and pick up your rental car at the appropriate pick-up point. The airport is one of the ten most important airports in Spain. Every day the ACE is operated by international, mostly European airlines. The building has all the important services and facilities you would expect from an international airport. One of them is the car rental service that you can use to get your car. Through our comparison you have the possibility to find a rental car that is not only cheap to rent, but also meets your requirements. A car rental service directly at the airport offers you the opportunity to visit the appropriate pick-up point right after your arrival. You will find out which pick-up station is suitable for your rental car at the time of booking. Our price comparison shows you in advance where the car rental for Lanzarote is located and how to get there. Renting a car at a low price is a great advantage for you and your stay in Lanzarote. If you also want to make your holiday on Lanzarote as free and independent as possible, then it is only an advantage if you book a rental car online. This portal provides you with the unique opportunity to access different rental stations at a glance. A car can be rented quickly and easily online at Driveboo. There are of course many different selection criteria available to you. After all, the rental car takes you from one playa to the next. From Puerto to Arrecife and in the middle of a breathtaking natural landscape that only Spain has to offer on Lanzarote. If you rent a car cheaply, you have more money locally for the beautiful things available. The comparison on this portal will help you quickly find the car that will be of good value to you as a rental car. Do not only pay attention to the actual rental price for the rental car. A car rental company sometimes has slightly higher prices, but more kilometers included or better insurance. You can easily view and compare all this on the portal. Thus, nothing stands in the way of a wonderful holiday. 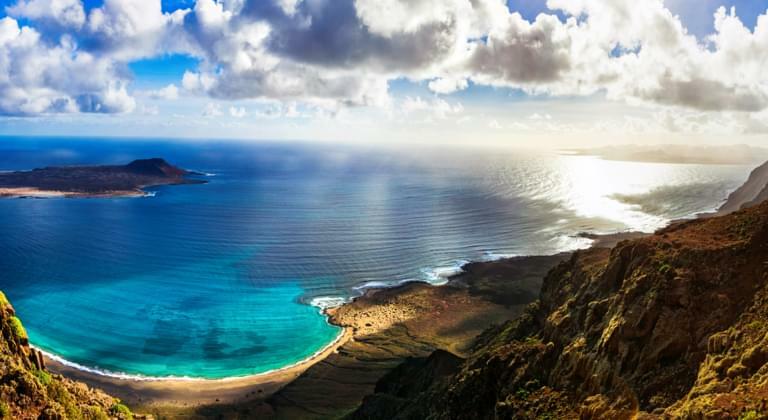 Would you like to see more of the Canary Islands? Then park your rental car and take the ferry. Just move over and explore other islands. It is not uncommon for whale watching trips to be offered here. Lanzarote offers an unforgettable experience in combination with a cheap rental car. Everything comes to an end. Even the most beautiful vacation passes sometime. Now you have to drop off your rental car at the pick-up station. The car rental company will tell you in advance whether the vehicle needs to be filled up or not. Renting a car has brought you an unforgettable holiday. Why not rent a vehicle for the coming journey again via this portal. Information on other destinations can be found here.